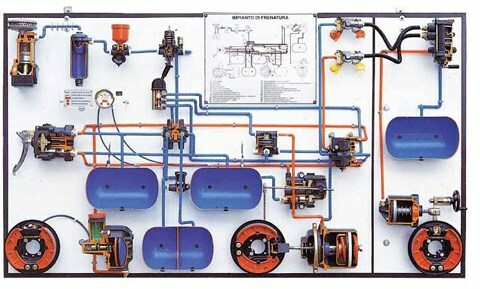 Wall panel including all the elements of a compressed air braking system. It is complete with all connection circuit components. The hydro-pneumatic braking system and the braking system with the olive pivot are displayed.